Item # 305494 Stash Points: 1,999 (?) This is the number of points you get in The Zumiez Stash for purchasing this item. Stash points are redeemable for exclusive rewards only available to Zumiez Stash members. To redeem your points check out the rewards catalog on thestash.zumiez.com. 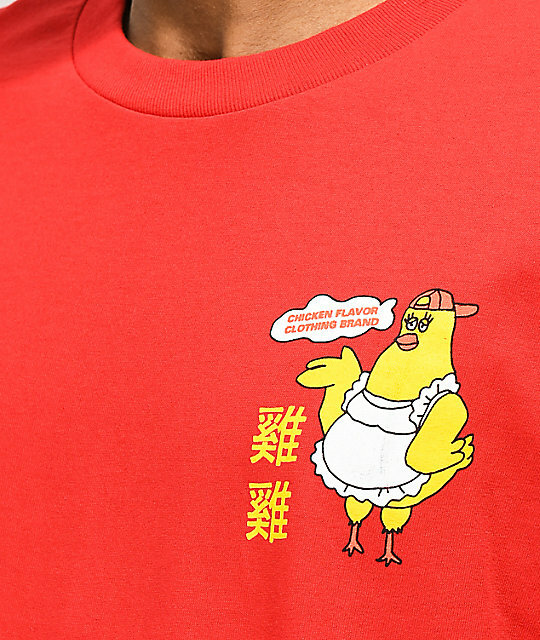 Reach for your next go-to tee with the Chicken Flavaz red t-shirt from A-Lab. 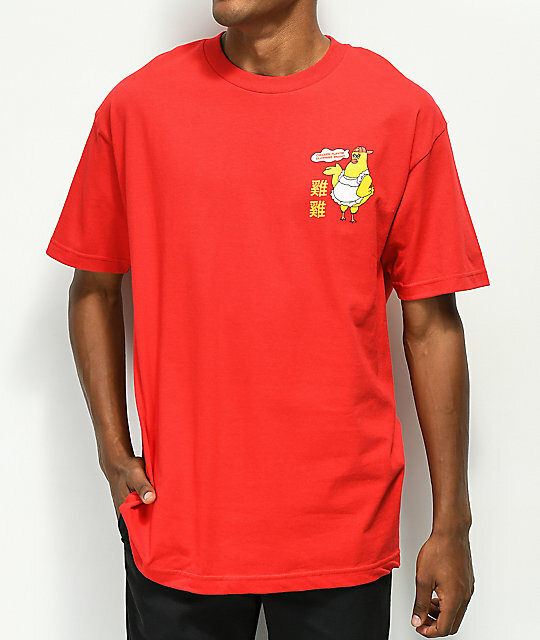 Cut from 100% cotton for a breathable fit, this crew neck tee features left chest and back graphics of a cartoon chicken with a text bubble that reads, "Chicken Flavor Clothing Brand" as well as some Chinese characters. 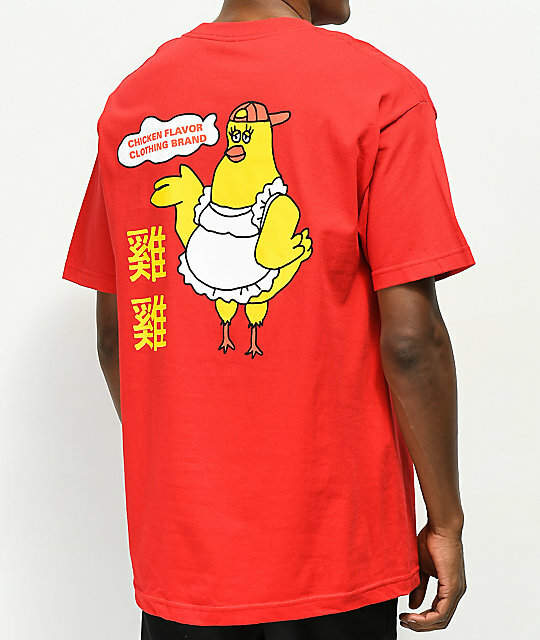 Chicken Flavaz Red T-Shirt from A-Lab. Screen print graphics on the left chest and back.